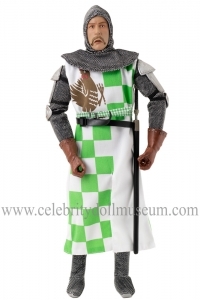 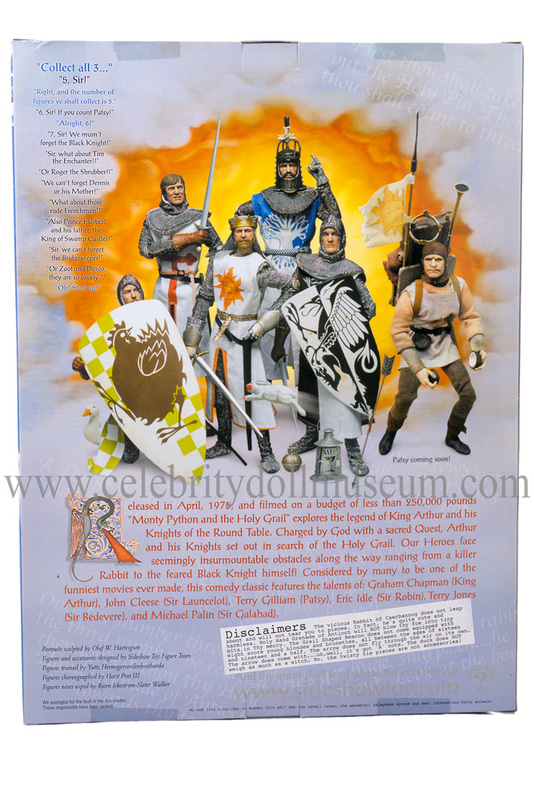 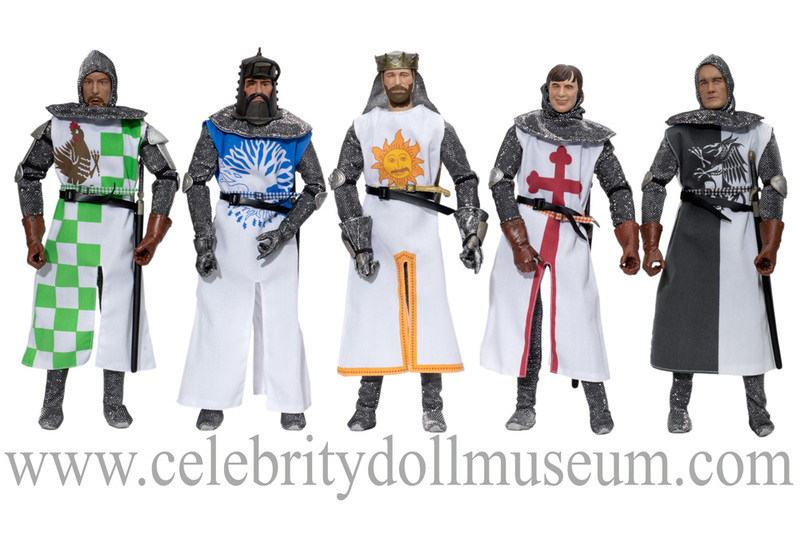 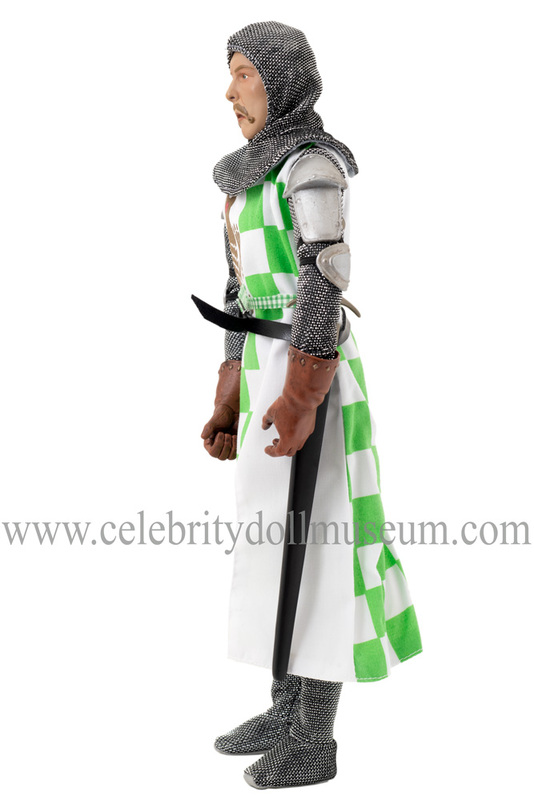 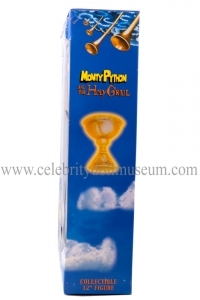 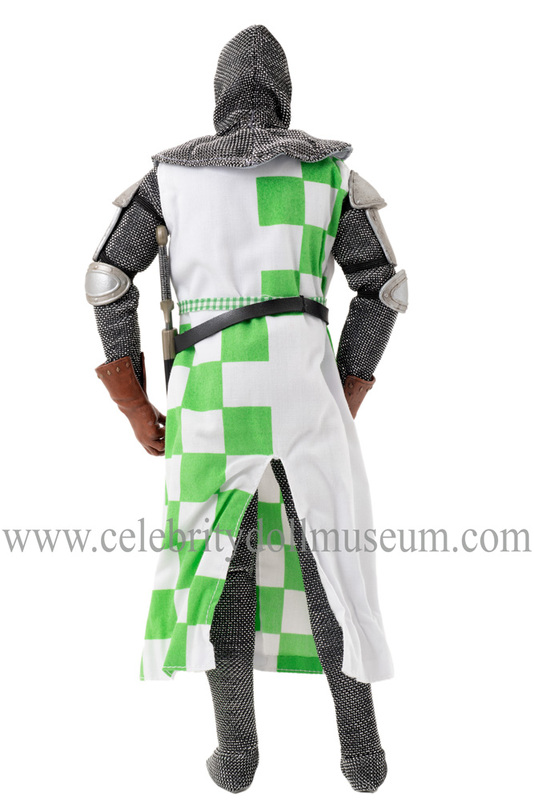 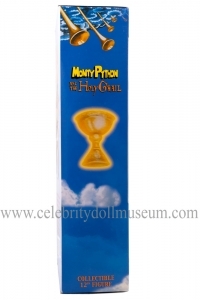 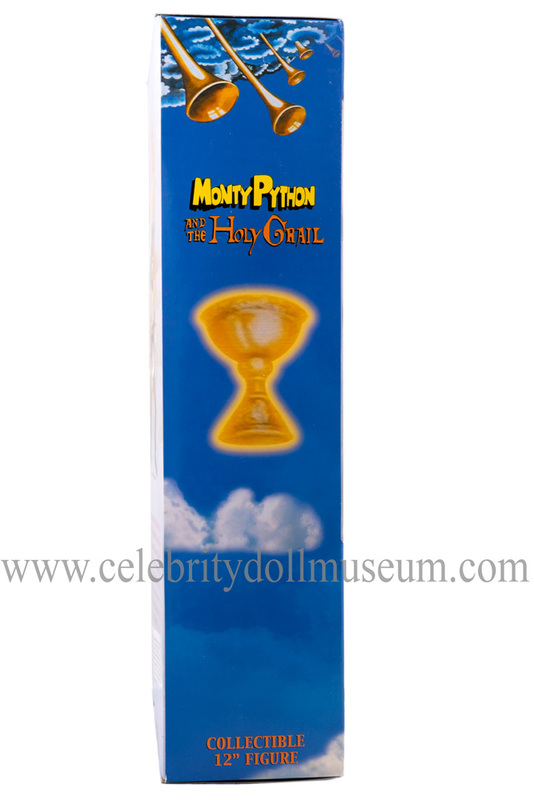 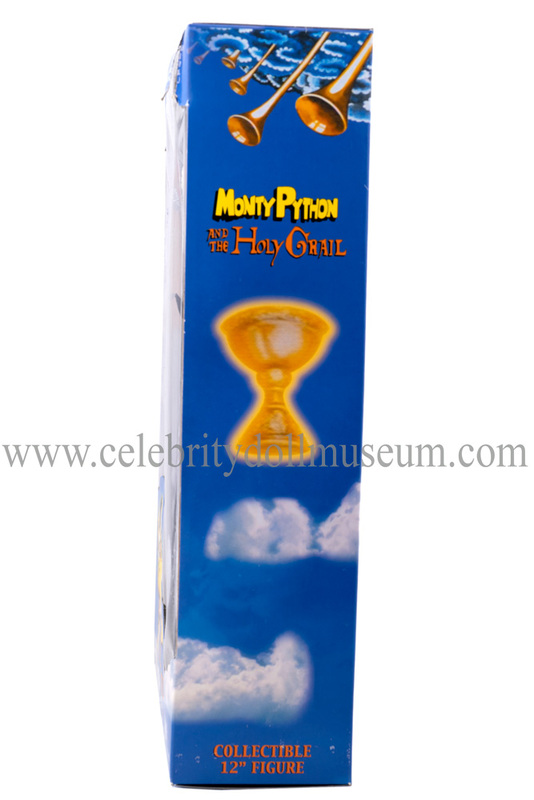 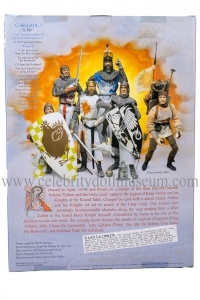 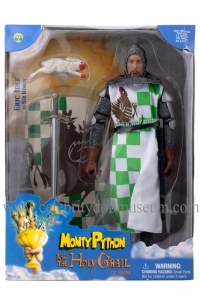 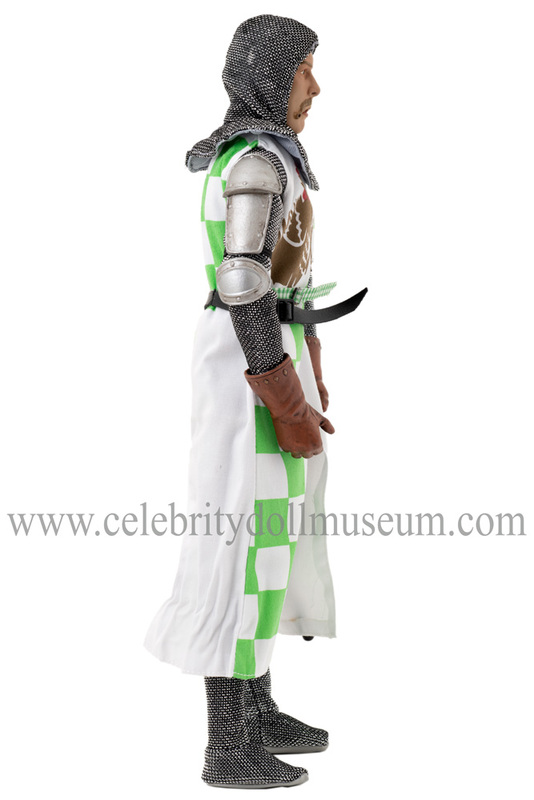 The Eric Idle celebrity doll depicts him as Sir Robin the Not-Quite-So-Brave-as-Sir-Lancelot from the 1975 British comedy film Monty Python and the Holy Grail. 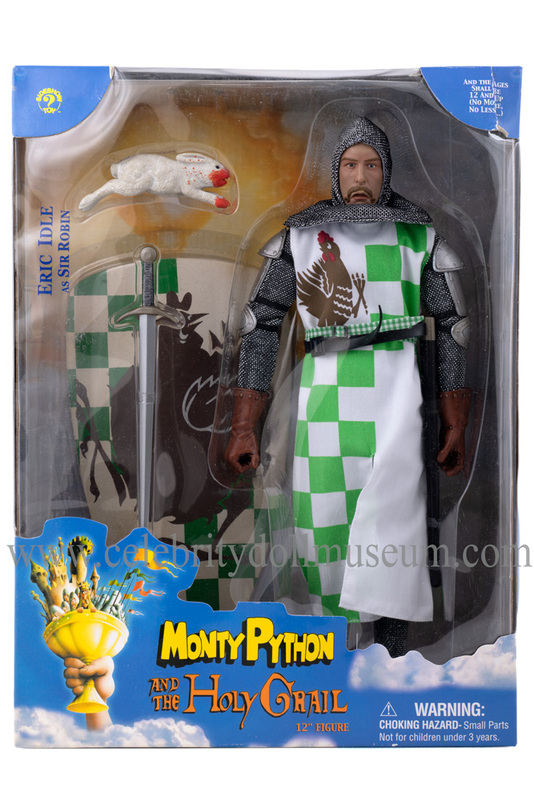 The 12 inch action figure was made in 2001 by SideShow Toy, Inc. Eric Idle is an English actor, comedian, singer, songwriter, musician, and comedic composer. 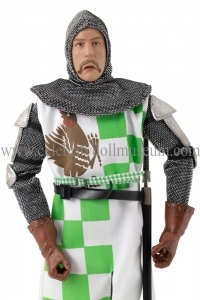 The frock is wasted with two belts. 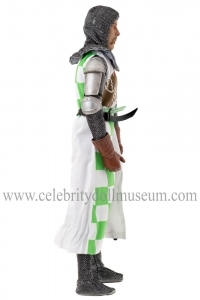 A black leatherette belt with plastic sword holder and a black plastic buckle and a green gingham plaid belt with a silver plastic buckle. Underneath the frock are a silver and black knit gray lined pants with kids pajama like built in feet and gray vinyl soles and a matching silver hood with gray lining and matching gray shirt with silver and black sleeves. On the elbows and shoulders are removable plastic silver and elastic armor. 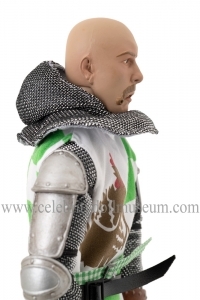 The head is bald under the hood. 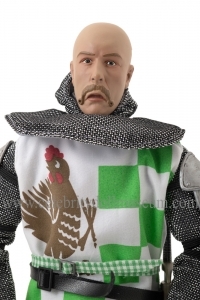 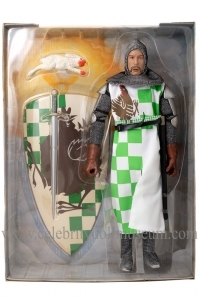 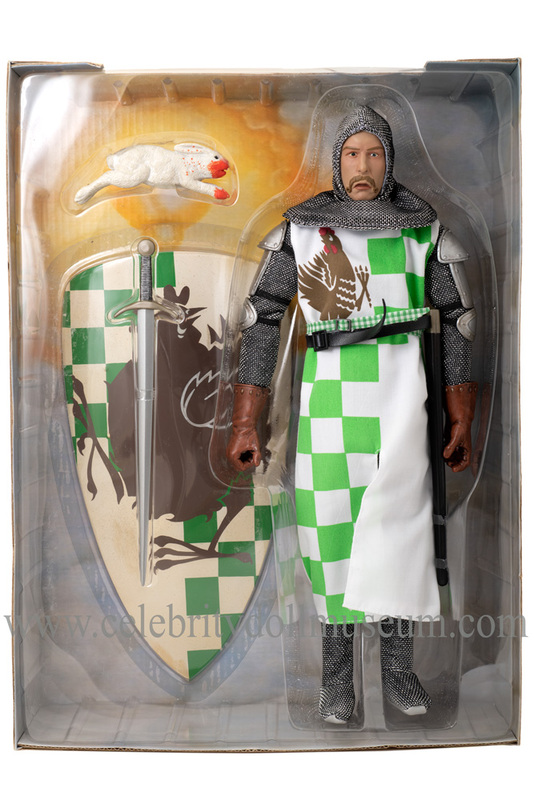 The accessories include white shield with the rooster on green and white checkerboard graphic, a sword, and a 1/6 scale plastic Rabbit of Caerbannograbbit.